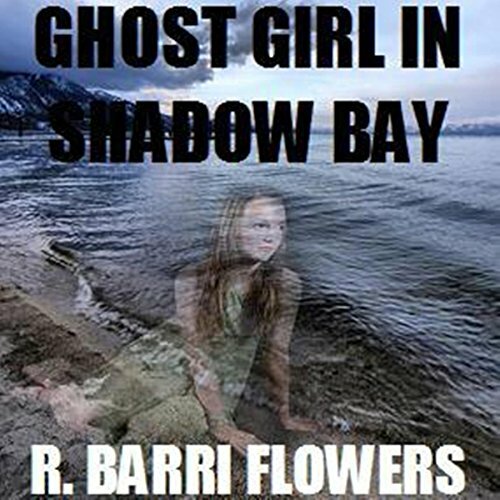 Ghost Girl in Shadow Bay is a young adult haunted-house mystery. Three years after her father was killed, 16-year-old Peyton Delaney; her mother, Melody; and her new stepfather, Vance McIntyre, relocate to Shadow Bay, Minnesota, and move into an old Victorian. They are unaware of the house's dark history: 50 years ago, a jealous husband snapped, murdering his wife, her lover, and 16-year-old daughter, before killing himself. But when Peyton begins to have nightmares about the crime and is haunted by a ghostly girl named Caitlyn, she begins to investigate, with the help of the caretaker's cute son, Bryant. As the two delve into the supernatural mystery surrounding the house, they discover that the events that led to the tragedy of 50 years ago are somehow intertwined with the present. In other words, history is repeating itself, and Peyton, Bryant, and their parents are being drawn into a disturbing case of jealousy, possession, revenge, and murder, while seemingly powerless to prevent the inevitable from taking place all over again. Caitlyn is a 16-year-old ghost who has had to relive the nightmare of being murdered by her father for half a century. When Peyton and her family arrive at the house where Caitlyn's spirit has remained trapped, she feels a connection to Peyton and knows instinctively that it will take the two of them together to not only free Caitlyn at long last, but to prevent her tragedy from becoming one that Peyton too must endure. I enjoyed this book about a family in need of a ghostly warning of impending doom. This book was written for the YA crowd.I would have loved it as a middle schooler.Full of ghosts and intrigue,it was perfect!The narration was a bit plodding but Suzanne Talbot did a fine job with voices.